I was scheduled to have a meeting at 9am, so I decided to wake up early to buy my breakfast before the meeting. I planned to do a take away (Sai Tong Gab Ban) and come back to the centre to prepare for the meeting. After I bought my breakie, I decided to just walk further down the street and to see if there is anything else that I can buy back for the meeting. As I walked and walked, I came across a cafe that I have been wanting to visit since after a few days I got here. Since I still had some time, I decided to walk in and experience this little cafe that looks really rustic from the outside. 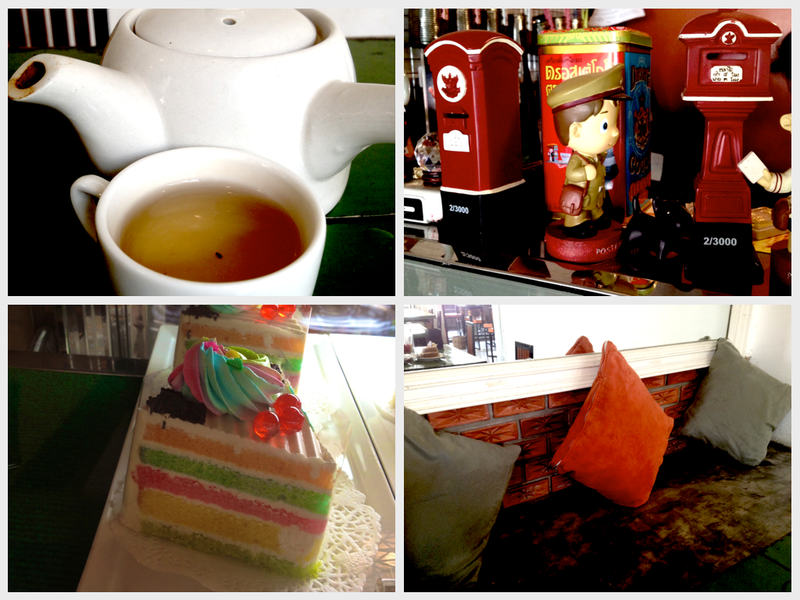 I went in and I think I found a little piece of heaven in Soi Sarmsibkanya. 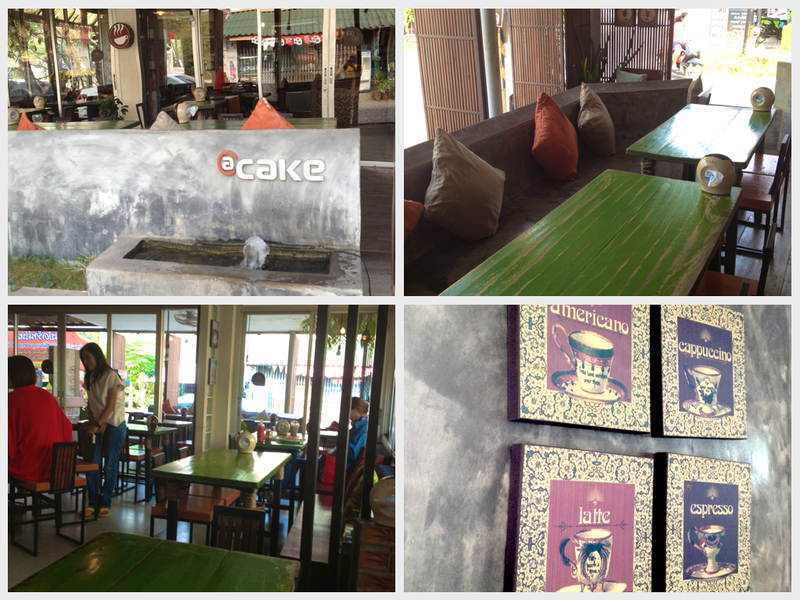 I love the simple and rustic decor of the cafe and the staffs were very friendly. I tried to disguise as local and of course I did very badly at it. Once I opened my mouth they will know I come from some distant country. I ordered a piece of chocolate cake and my usual latte. Oh guess what, they do latte art here. I was so taken by surprise that I could get latte art here. It was a simple leafy design but I think its pretty cool! I sat down at this cosy corner and the more I spent a minute there, I wanted to order something else to experience the cafe a little more. I decided to order a pasta. Then a staff came and approached me asking about something which I obviously couldn’t quite understand. Later then I knew that she wanted to offer Chinese tea to me. I must say that the latte is one of the better ones I have tasted here. It has a mild after taste of the roast. The cake is interestingly nice as well. It is soft and it is not as sweet as I thought it to be. The chocolate can be richer though but it is a pretty reasonable piece of cake for just 30 baht. I must say that the pasta was good and very beautifully decorated. The sauce is not too sweet or too sour and just nice to cover the pasta. My overall experience there is that the whole place makes me feel very comfortable and at ease. I feel that I can be relaxed there. I am sure that if I am with a group of friends, we would have a lot to chat over a cup of coffee there. 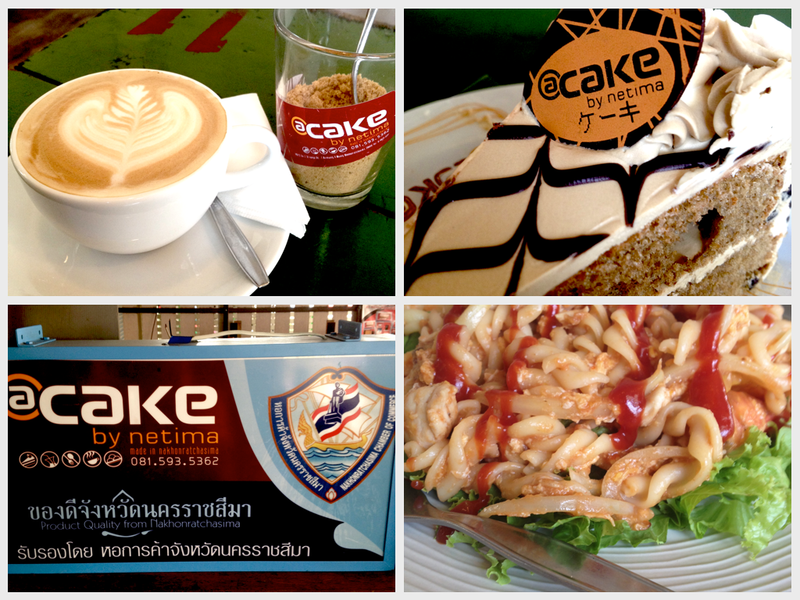 Well, if you happen to be found in Nakhon Ratchasima, do look out for this cafe at Sarmsibkanya.